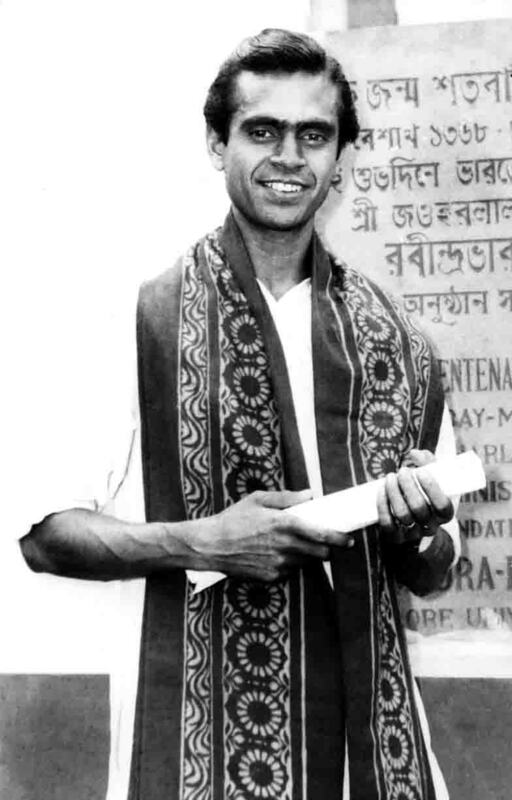 Born in 1940, Shanti Amarendra Bose, started his career in dance as a member of IPTA under his mentor Panu Pal. He then went on to pursue dance with Kathakali honors, from Academy of Dance, Drama and Music (presently, Rabindra Bharati University). He joined Uday Shankar’s troupe before graduating with a first class first degree in dance, and then went on to perform extensively in India and abroad with Uday Shankar’s troupe. He started his career in Uday Shankar's troupe in 1961 with Samanya Kshati, an adaptation of Rabindranath Tagore's poem. Through the years he matured in the Uday Shankar style of Creative Indian Dance and went on to become the ballet master in Shankar's troupe from 1965 to 1977. He was particularly well known for his solo performance in the piece Kartikeya, which Uday Shankar himself asked Bose to perform on his behalf during the 1968 USA tour. Shanti Bose's association with Uday Shankar for 17 years created in him the intuitive master of Shankar's style. With Shankar, Shanti Bose has traveled all over the world. A year after joining Uday Shankar's troupe, Bose had the previledge to accompany the troupe to USA and Europe in 1962. 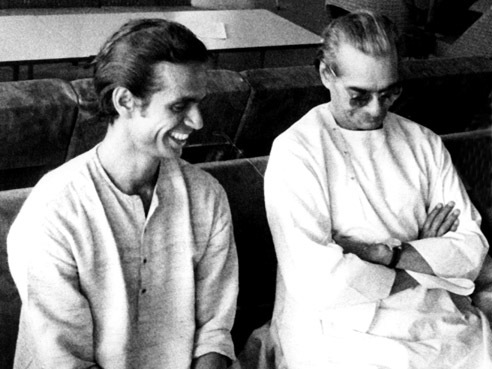 Again in 1968 Bose accompanied Uday Shankar to the US, but now as ballet master of the troupe. Shanti Bose also held position as the assistant director to Uday Shankar's multimedia show Shankar Scope. The Shankar Scope had consistently enthralled audiences where ever it was performed. During the later years of Uday Shankar, it was Shanti Bose who had the honor of performing the central characters previously performed by Shankar himself. 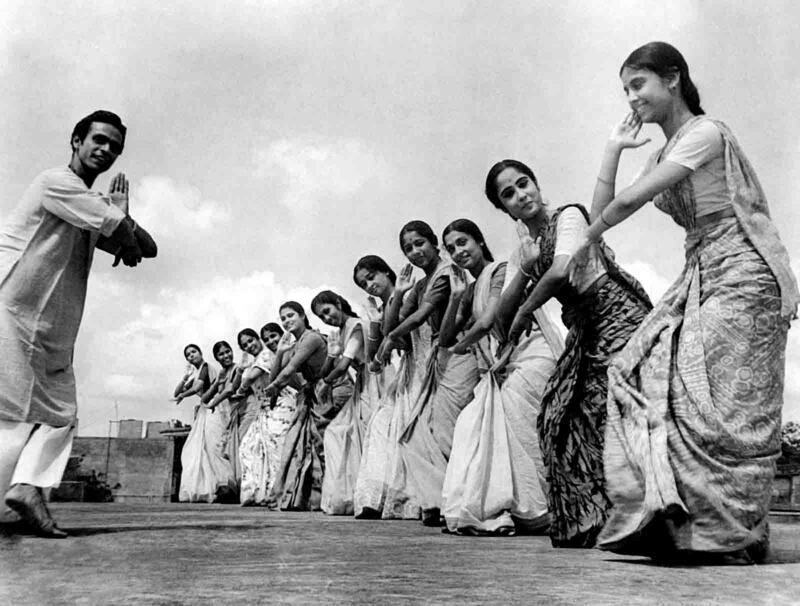 Shanti Bose, along with his wife Sunanda Bose, started their dance institution Nrityangan in 1969 with Uday Shankar’s blessings, and continues to teach Uday Shankar style of Indian Creative dance. Apart from Uday Shankar, Shanti Bose has also been associated as dance director with Santosh SenGupta’s Suramandir and Ruma Guhathakurta’s Calcutta Youth Choir in their various productions in India and abroad. Under Bose's dance direction and Ruma Guhathakurta's music direction, Calcutta Youth Choir won the Best Performer Award in the 1974 Youth Festival, Denmark. With Santosh Sengupta, Bose directed and played the lead male role during their trip to USA, Canada and Switzerland in 1976. He was also a part of many productions of Suchitra Mitra’s Rabi Tirtha. He played the principal character of Ruhitan in Tagore's Tasher Desh in the US and Canada tour of Rabi Tirtha in 1975. He played the lead role in Abhigyan Shakuntalam under the direction of Guru Kelucharan Mahapatra. Shanti Bose had been associated with Sri Jogen Sunder’s Indian Revival Group from 1963 to 1965 and had toured all around India and Nepal during that period performing folk dances of India. Shanti Bose has also directed and performed, in water ballet form, Tagore’s Shyama (1969), Chitrangada (1979) and Samanya Kshati (1982) at the Indian Life Savings Society (Anderson Swimming Club). Shanti Bose has long been associated with Indian television Doordarshan Kendra where he, along with his troupe Nrityangan has performed several dance dramas like Chandalika, Tasher Desh, Life of Buddha, Samanya Kshati, Parishod, Chitrangada and Shyama, Bose being the director of the first five productions. Shanti Bose and his troupe, Nrityangan have performed in Tagore's Shyama and Chandalika which have been released as video compact discs by HMV SaReGaMa. The soundtracks for these productions were set to the original recordings under the direction of Santosh Sengupta and the vocal tracks performed by Suchitra Mitra, Kanika Bandyopadhyay and Hemanta Mukherjee. In May 2006, Bhavna Records has released a series of Tagore's dance dramas of Chandalika, Chitrangada, Tasher Desh and Shyama, all of which are performed by Shanti Bose and Nrityangan and directed by Bose. 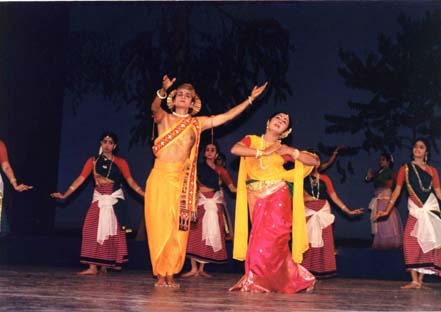 In 2001, Sangeet Natak Akademi invited Shanti Bose and Nrityangan to perform at the Uday Shankar Satabdi Samaroh, both in New Delhi and Kolkata. In New Delhi, Shanti Bose performed the legendary Kartikeya and Samanya Kshati. While in February of 2002, Bose conducted a lecture-demonstration on the Uday Shankar style of Creative Indian Dance where Smt. Amita Dutta, Dean of Dance and Drama in the Rabindra Bharati University, Kolkata conducted the lecture. Shanti Bose held an exhibition of a collection of 147 photographs spanning 5 decades of his association to dance. The exhibition took place at Gaganendra Pradarshanshala from Dec 10th to 13th, 2004 and received admiration from one and every audience and reviewer. 1962, Visited USA, Canada and Europe with Uday Shankar’s troupe. 1968, Visited USA and Canada with Uday Shankar’s troupe as Ballet Master and principal male dancer. 1974, Visited Youth Festival of Denmark with Calcutta Youth Choir. The troupe was selected as the best performer of the festival. 1975, Visited USA and Canada with Rabitirtha to perform in the male lead role. 1976, Visited USA, Canada and Switzerland to perform in the male lead roles of Shyama, Chitrangada and Chandalika with the music maestro Santosh Sengupta. He was the dance director for all productions. 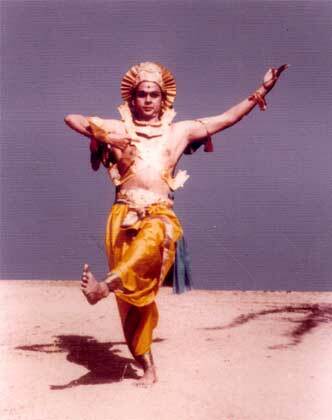 1985, Visited Singapore to perform Shyama. 1986, Visited USA to perform Shyama, Savitri and other dance items. 1987, Visited Singapore to perform Chitrangada and Life of Buddha. Shanti Bose had been teaching dance in Loreto House and Loreto Day School (Dharmatala and Elliot Road) for over 30 years. After retiring, he is still holding the position of dance director in Ruma Guhathakurta's Calcutta Youth Choir and teaches the Uday Shankar style of dance in Arabinda Ashram, Kolkata. He has also been associated with and been a member of the following organizations. He is currently the dance choreographer with the Song and Drama division and has recently received rave reviews for his compositions at the Puri Beach Festival. He has also been invited as an Expert Member to “extend valuable guidance in selection of suitable artists for empanelment, as well as for selection of troupes for registration with the dept. He has been a committee member with the Information and Cultural Affairs Dept., Government of West Bengal for the past 3 years, and has been involved in the selection of various artistes for their scholarship grants, as an expert consultant and as a lecturer on various occasions. Shanti Bose has been in the selection committee for appointments of Professorship, Readership and Lecturership in Department of Dance in the University. He has also been on the selection committee for deciding on the promotion of various posts in the Department of Dance and has conducted many workshops on Uday Shankar Style of Indian Creative Dance in the University. He has been appointed the external examiner (practical) for the M.A examination in dance in the University and has also been invited to deliver lectures on Uday Shankar’s style of dance at the University. Shanti Bose is a committee member and is involved in their various selection processes. He and Nrityangan has been performing in various programmes on behalf of EZCC. Shanti Bose has also been the principal selector of folk dancers for Republic Day parades in New Delhi. The Gazette Montreal, October 7, 1968. New York Times, October 9, 1968. The Houston Post, November 15, 1968. The Statesman, June 7, 1989. The Statesman, December 21, 1991. The Statesman, January 8, 1992. The Statesman, February 23, 1993. "There was Shanti Bose, phenomenal male dancer, a violently masculine, violently handsome performer with a stage force and choreographic presence not unlike Nuryev’s"..........The Gazette Montreal, Oct 7 1968.